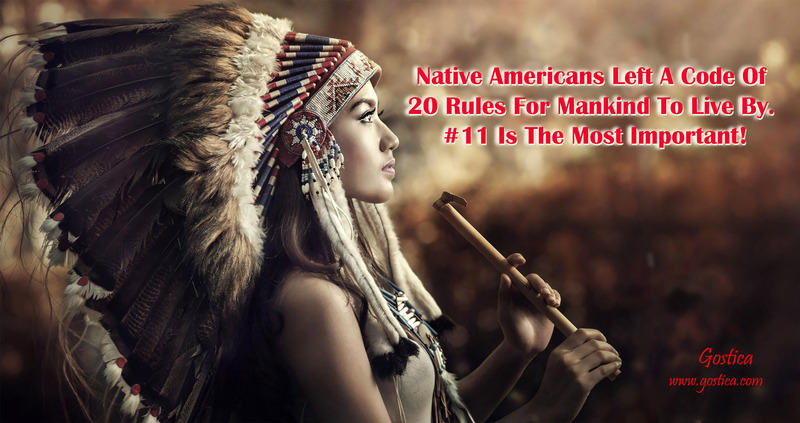 Native Americans Left A Code Of 20 Rules For Mankind To Live By. #11 Is The Most Important! Every great person, regardless of culture, religion, tribe, or ethnicity, follows certain words of wisdom. These words of wisdom transcend the differences between people. This code of living shapes one’s character. It molds each culture to be unique and unrepeatable. 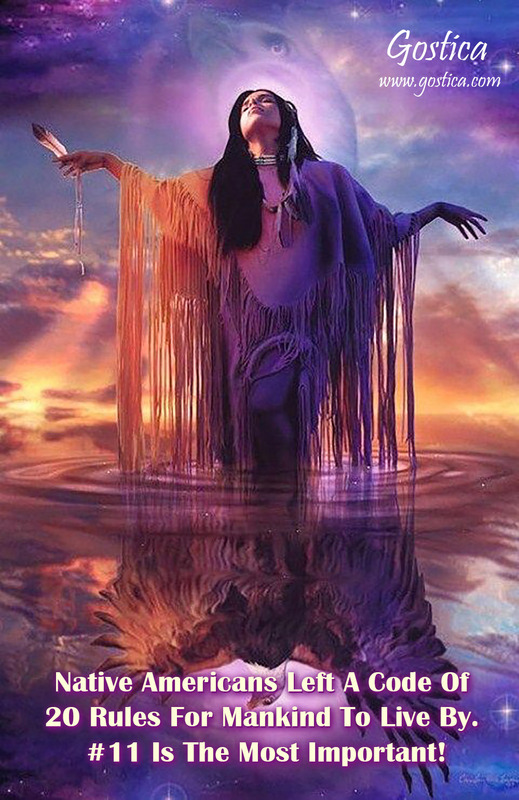 Probably one of the most spiritually advanced and character building code is The Native American Code of Ethics which was originally published in the Inter-Tribal Times in October of 1994. It is a Code of Ethics that teaches everyone, American or not, how to live the best life. It is fascinating to note that most of its teachings are reflected in other beliefs and faith too. 17. Respect the privacy and personal space of others. Do not touch the personal property of others especially sacred and religious objects. This is forbidden. We may differ in our faith, religion, and culture, yet we all live together on the same boat. We are only custodians and not owners of The Earth, not its conquerors nor its destroyers. How many or which rules do your spouse need to break before you say, you are no longer my spouse?